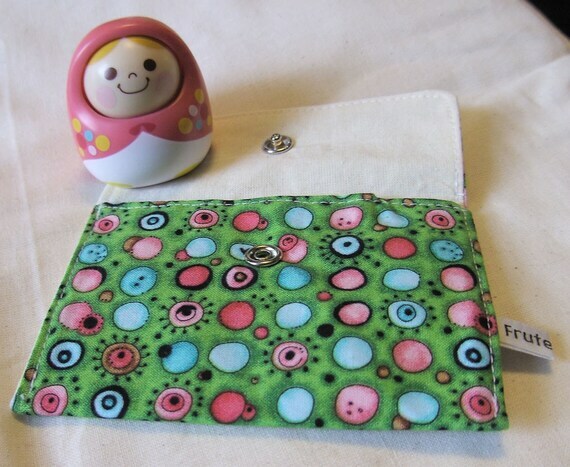 Here is a pretty 100% cotton coin purse. It is fully lined with 100% cotton calico. I have used heavy interfacing to make the purse more sturdy. This can be used for small change, lip balm etc... it could also be used as a gift card holder to make a gift card that little more personal. The purse has a metal snap fastener. Folksy :: Buy "Owls Coin and Card Wallet - RESERVED"
Folksy :: Buy "Wallet - Mexican Skulls"